Could it be that human beings are supposed to die at 60? That all of our supposed medical advances will be seen, someday, as a blind alley, a mistake? That a world where men die of cholera at 45, when women die bearing their ninth baby, will be seen as preferable to the coming gerontocracy of extended decrepitude, of living corpses idling away meaningless years in tiny rooms waiting for their prolonged, tortuous deaths? I'm not saying I believe that. Given that half my readers seem to be 80, I'm not suggesting you should all be dead. I'm glad you're here, just as, when I turn 80, I imagine I'll be glad to be here, too. At least I hope I will. But I have to wonder, especially having just read Donald Hall's new memoir, Essays After Eighty (Houghton Mifflin Harcourt: $22). Though I am the rare person who goes to poetry readings and buys poetry books, I had never heard of Hall, poet laureate of the United States in 2007, until I read a rapturous review in the New York Times, and ran out and bought his book, as a kind of preparation, the way I read Bear Attacks: Their Causes and Avoidance on the way to hike in Colorado. I figure, old age is coming, eventually. Might as well know what to expect. A futile task, Hall explains, because we arrive at old age and are shocked to find ourselves in "an unknown, unanticipated galaxy. It is alien, and old people are a separate form of life. They have green skin, with two heads that sprout antennae." Pleasant or annoying, the aged "are permanently other. When we turn eighty, we understand that we are extraterrestrial." Sounds awful. But if you object to that; blame him, not me. I'm just the reporter. The old are ignored, trivialized, condescended to. A guard at the National Gallery of Art explains to Hall that the sculpture he's looking at is by Henry Moore, in singsong, as if to a child, while Hall manfully resists pointing out that he knew Henry Moore, personally, and wrote a book about him. A military man took my arm to help me climb two stairs. . . . I told the president how much I admired him. He hugged my shoulder and bent speaking several sentences into my left ear, which is totally deaf. I heard nothing except my heart's pounding. When my friends watched on the Internet, seeing the president address me, they asked what he had said. I told them that he said either 'Your work is immeasurably great' or 'All your stuff is disgusting crap,' but I couldn't make out which. Humor is the bulwark against dolorous age, though Simon Rich this is not. Much of this brief book, 134 pages, is taken up by Hall's cherished memories — driving from Vienna to Greece with his new wife, Kirby, in 1952. Interesting enough, and punctuated by the occasional bracing flash of self-awareness. 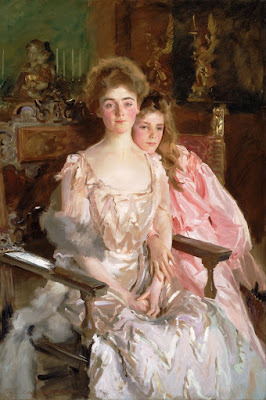 "One feature of old age is gabbing about almost-forgotten times," he writes, and his almost-forgotten times involve quizzing Dylan Thomas about "Do Not Go Gentle into That Good Night" and meeting Mrs. Fiske Warren and her daughter, whose portrait, "Mrs. Fiske Warren and Her Daughter," was painted by John Singer Sargent in 1903. While tragedy has certainly visited him: his first wife lost to divorce, his second to leukemia, Hall has it a lot better than most, living on the New Hampshire farm that has been in his family since 1865. His memories include Exeter and Harvard and Oxford. He has a quartet of women seeing to his needs, including lover Linda, and while he relates his good fortune, he doesn't seem to grasp it. The awards roll in, and he likes that, after the ritual faux pooh-poohing. 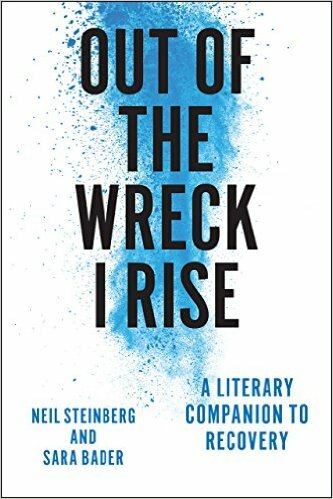 A lot of the book is spent receiving honors, which reminded me how the importance of career flares up in old age, the irresistible impulse to valorize your past, to reassure yourself that it all Meant Something. The damning thing for me was the book flap biography, which reads, in its entirety: "Donald Hall, who served as poet laureate of the United States from 2006 to 2007, is a member of the American Academy of Arts and Letters and a recipient of the National Medal of Arts, awarded by the president. He lives in New Hampshire." I know those aren't necessarily written by the author, but were it me, I'd sit at the book warehouse with a scissors, snipping those off the flaps before I let that go out. I left the book reminding myself: vanity is a black hole whose gravity grows as you age. If fate sentences you to live, try your hardest to tear your gaze away from the black star of your ego, and think about other people. Hall's children and grandchildren are ghosts in the book. He might have focused a little on them, but the task eluded him. Still, the book's worth a read. "There are no happy endings," Hall writes, "if things are happy they have not ended." Indeed. That is so totally not my life as I approach 83 in June. I have always just kept on as if I am 45. The difficult part is that many friends die so I have to keep finding younger ones. 45 wouldn't work for me. I'd like to redo 17 until I get it right. 71 would be ok too. "General Wojeich Jaruzelski, the Dictator of communist Poland, who was having his troubles with Lech Walesa and Solidarity, was summoned to Moscow for consultation. During some down time he visited Lenin's tomb, hoping for inspiration. His hope seemed to bear fruit when he observed the preserved effigy's lips moving. Putting his ear to the glass he distinctly heard the father of Soviet communism say 'Arm the workers.'" I know many wouldn't have understood it even at the time, but I went to the University of Chicago. 71 is OK. Life is what you make it at any age. Age is more a state of mind than the changes in our bodies. After all, we are all stuck with the bodies we were born in, and they began changing the day we were born. So what we do within the limits of our bodies has always been managed by our thoughts. I only wish more young people would realize what a precious and fragile and miraculous gift life on this earth is, and how quickly our time to enjoy it passes. Instead of killing and destroying, we should cherish each other and our mother earth. We don't want to go back to the middle ages, but today's meds props people up to live long, but not for a good quality of life, while nursing homes and hospitals/ pharms. make money off of them and medicare. And Neil, we don't think that over half your readers are 80. You have many mid aged subscribers to the paper and my 20 something daughter loves it too. Humor is indeed a bulwark against old age, but so can be learning. I feel sorry for people who enter that "unknown, unanticipated galaxy" without having acquired the habit of inquiry that a good book caters to. The point is suggested in a work by the well known poet "Anonymous." Or you're having fun in bed." Of the three, one is unwelcome and nature decrees that only reading, of the other two, can offer undiminished pleasure. "There are no happy endings," Hall writes, "if things are happy they have not ended." Glad I softened ANA up just a bit for ya, and outed what his intentions were. Sometimes, it takes an Italian to get 'er done, wink. The clocks are stupid, not me. Really. They are. Saturday fun activity: Who IS this? Do Jews go to heaven? "These are not dark days"
Puppetry Week: #5: "A puppet mocks being human"
"Make not Allah's name an excuse"
"So these three terrorists walk into a bar..."
But are your vegetables really clean?